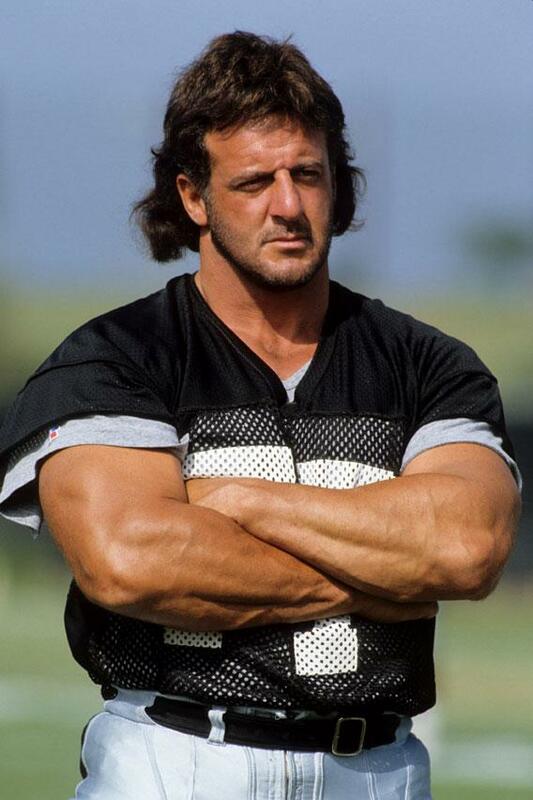 For three decades, NFL players used PEDs openly and rampantly. Team doctors dispensed them, coaches sanctioned them, league executives knew about them. Even the public was aware; Steve Courson, a veteran of the Super Bowl-winning Steelers teams of the 1970s, described his steroids regimen, and the rationale behind it, in a detailed confessional in S.I. in 1985—while he was still in the league. The NFL of players like Courson, who kept blowing the whistle on steroids until his death in 2005, and Lyle Alzado, the Broncos and Raiders lineman who blamed steroids for the brain cancer that would kill him in 1992, was the opposite of the one you experienced in the 2000s, Nate. Those who didn’t inject themselves in the posterior—at least the linemen and linebackers—were the outliers, physically and psychologically. The ones who did inject, to paraphrase Nate, won. It wasn’t the fear of damaging one’s body that reduced the use of steroids—football wreaks plenty of physical havoc on its own, thank you very much. Rather, it was the changed culture of the league and the fear of getting caught. Broadly speaking, testing, which began in the NFL in 1987 with the first suspensions disbursed in 1989, has worked. Perfectly? Of course not. The punter Todd Sauerbrun was named in a 60 Minutes report about steroids (though not suspended for it) before joining us on the Broncos. Kenard Lang, a defensive lineman in Denver the summer I was with the team, was suspended a year later for violating the league’s steroids policy. So was another of your former teammates, Kenny Peterson. I also believe that the vast majority of players don’t juice. But not everyone in the NFL shares your nuanced understanding of the game, or your ethics. The issue with HGH is less whether players will choose to use than the reliability of whatever testing regime the NFL ultimately implements. When the players’ union questions the scientific validity of the blood test for growth hormone, it’s easy to portray that as stonewalling. If the HGH test is good enough for the World Anti-Doping Agency, how can it not be good enough for the NFL? Tommy raised the potentially dire consequences of such thinking. I asked Matt Chaney, author of the 2009 book Spiral of Denial: Muscle Doping in American Football, why the players should be suspicious. “American medicine and credible medical bodies abroad have yet to see a democratic, scientific, straight-up independent peer review of this purported breakthrough in doping detection,” Chaney wrote in an email. He’s referring to the WADA test, German endocrinologist Christian Strasburger’s immunoassay for growth hormone isoform ratios in human blood. Chaney mentioned that Don Catlin, the pioneering former UCLA anti-doping researcher, doesn’t trust the WADA HGH test, or the lack of transparency from its creators. Neither does another anti-doping endocrinologist, Peter Sonksen, who has worked with WADA and the International Olympic Committee and devised an alternate test. Chaney might be histrionic, but his work is sobering. Last week, he published a list of every catastrophic injury in football since February of this year, which he compiled through Google searches. Brain hemorrhages, spinal fractures, heat stroke, ruptured kidneys, you name it. Chaney’s total is 60, including 15 fatalities. Given the amount of football being played every day in America, that might not seem like many—unless your kid is on the list. Scrolling through it is a saddening exercise in the profound risks of playing football. Or at least be aware of what you’re doing. So here’s what we’ll all do this week, as in every other week of the NFL season. We’ll consume vast amounts of news about player injuries and suspensions. And then on Sunday, when the 5-1 Patriots visit the 5-2 Steelers, and Tebow gets his first home start against Detroit, we’ll set aside our suspicions about drugs and our awareness of the potential catastrophes and enjoy the show.